The ADP Payroll report gives us a preview of what to expect from the Monthly Employment Situation report, especially with regard to total private sector worker growth. 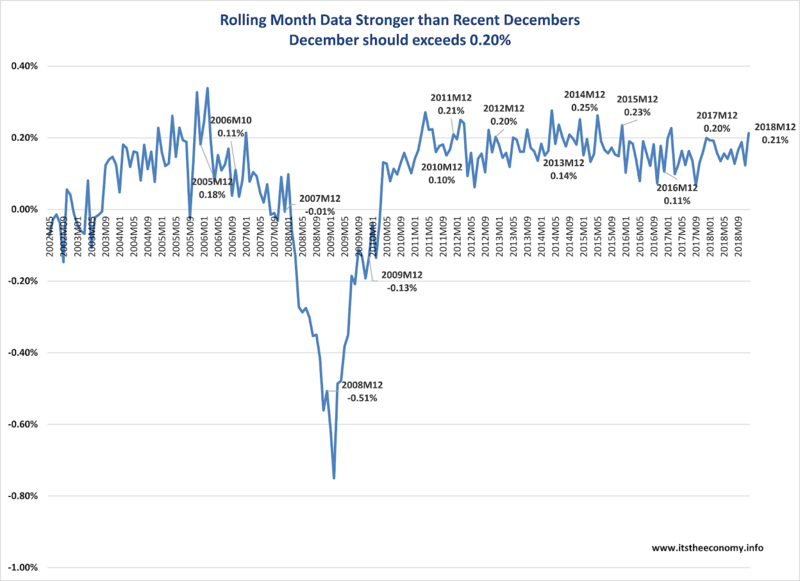 We may get some insight as to which sectors are growing month to month and December to December, seasonally adjusted. The ADP forecast article, “December ADP Report Should Be Jolly,” projected that all sectors would grow except Information. It was thought that, before revisions to the prior months’ data, we could have added 211,000 to 230,000 payroll positions added. What was reported? The final report for 2018 was remarkable. We saw growth December to December of 1.98%. The is a faster pace of annual growth than December 2016 and 2 December.The strongest growth from last December were in Natural Resources, Construction, Professional Business Services (PBS,) Education Health Services (EHS,) and Leisure and Hospitality (LAH.) The surge in Construction, NR, and PBS is good for tomorrow’s wage data as they are well paid jobs. The boost in EHS and LAH will be a “drag” on the average weekly wage as they are among the lowest four paid sectors. We saw growth November to December in all sectors except Natural Resources. The Largest gains were in Construction, PBS, EHS, LAH, Information, and Other Services. Growth hit 0.21% month to month. This was better than December 2017 and substantially better than December 2016. The data was revised upward for October and lower for November. The October data was revised higher by 14,000 payroll positions. The November data was revised down by 22,000, for a net loss of 8000 payroll positions. The Headline number was 271,000 workers added. This number was actually 263,000 higher than the last total value reported. This year was better than 2015, 2016 and 2017. It was also comparable to 2015. 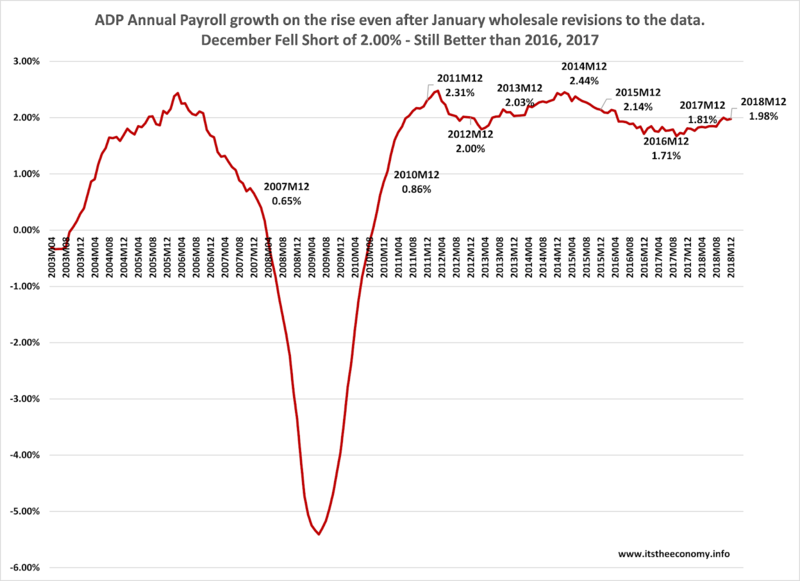 Remember that the ADP Payroll data was revised with the release of the February ADP report, shifting some growth from 2018 back to 2016 and 2017. the ADP data was revised the data from December 2014 was goosed 43,000 positions, the 2015 data was boosted even higher, by 102,000 workers, and the December 2017 was savaged by 562,000 workers. This means that 2015 was actually growing slower than 2018. Officially we have added 2.474 million payroll positions this year, using the advance data, compared to 2.25M during 2017, 2.070 million during 2016, and 2.535 million during 2015. The growth that started at the beginning of 2017 was pushed off a year. The federal Employment Statistics data will be revised after the December Jobs Report and prior to the January ADP and Employment Situation reports. This may mean another revision to the ADP data with the release of the February ADP report. 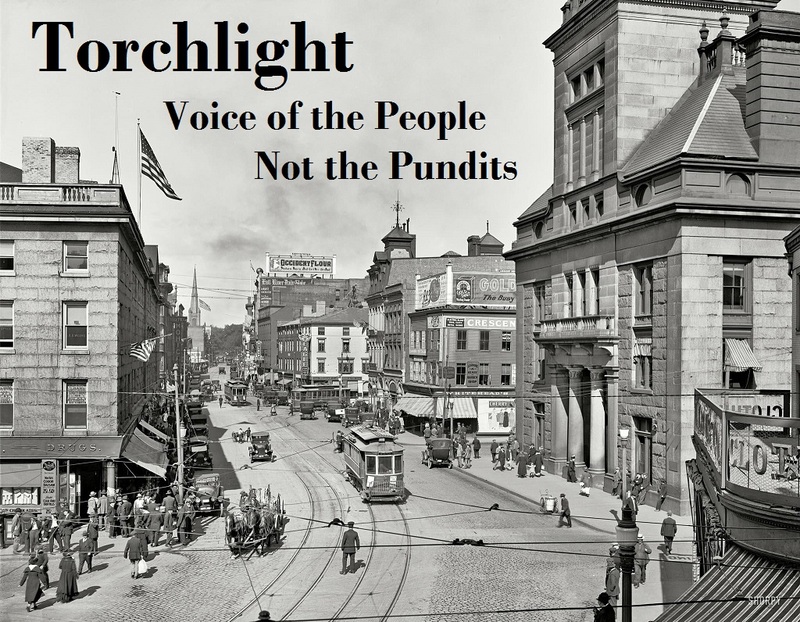 This report was very good. It was remarkable. There is plenty of good things to say.